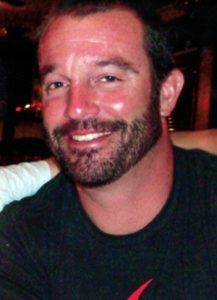 NAGS HEAD — Shawn Michael Radford, 45, of Nags Head passed away unexpectedly at his home March 31, 2019. He was born and raised in Portsmouth, Virginia. Shawn attended Old Dominion University and earned a degree in culinary arts from Johnson and Wales University. Later, Shawn applied his education and culinary skills working locally in several popular restaurants including Tortuga’s Lie in Nags Head. After spending several years gaining experience, Shawn ventured out on his own and co-founded Food Dudes Kitchen in Kill Devil Hills. Several years later the successful restauranteur changed his focus and Shawn joined his father’s construction business. Although he enjoyed great personal and business accomplishments, Shawn was an even greater dad to his only child Aidan. He cherished the time he got to spend with his son teaching him to surf and master other outdoor pursuits, always with a large assortment of his closest friends nearby. Shawn is survived by his wife Ellen Radford and his son Aidan both of Nags Head; his parents, Jeff and Betsy Radford of Kill Devil Hills; his brother Chad (Amanda) and his nephew, Asher, all of Florida; and his mother-in-law Ann Hancock of North Carolina. Also surviving are numerous aunts, uncles, cousins and extended family members, as well as Shawn’s surf family; his loyal best friends, and countless former employees, co-workers, and customers. Plans are being finalized for a celebration of life to be held in the near future. Confirmed arrangements will be available soon at www.gallopfuneralservicves.com. In lieu of flowers, the family gratefully suggests that any and all memorial donations be made directly to the Aidan Radford college fund at Crescom Bank in Kill Devil Hills.